Eye doctor – Ly Nguyen, O.D. – is an Optometric Glaucoma Specialist and Therapeutic Optometrist serving Cypress, TX. She opened up our TSO Cypress location in 2008. For the five years prior to providing eye care in Cypress, she practiced in the Willowbrook (Houston) and College Station areas. 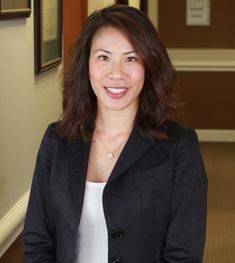 Dr. Nguyen received her training with a Navy Clinic in the Quantico Marine Corps base in Virginia and at Houston Eye Associates, Houston’s largest ophthalmology practice. She received her Doctor of Optometry degree in 2003 from the University of Houston and performed her undergraduate studies at the University of St. Thomas, also located here in Houston. Dr. Nguyen is an active member of the American Optometric Association, Texas Optometric Association, Harris County Optometric Society and Cy-Fair Chamber of Commerce. When she is away from the office, Dr. Nguyen loves to travel and dabble in travel photography. One of her other hobbies is endurance racing. She has competed in several marathons, loves cycling, and is an avid snowboarder. Her current personal mission is to complete a marathon distance race on all seven continents. She will be attempting her 5th continent (Africa!) this April. In December 2013, she overcame her fear of swimming in open water and competed in an IronMan competition. Dr. Nguyen and her husband reside in Houston, TX with their two daughters.